Brazilian companies may face tax disputes whenever controversial tax issues are involved. Since there is no alternative way to solve disputes in tax matters, litigation is the legal mechanism used to not only contest levies and tax assessments that are deemed undue, but also as a proactive way to gain judicial recognition of taxpayers' rights regarding possible tax law interpretations. The Brazilian Federal Constitution sets forth guidelines for the tax system, and allocates the right of federal, state and municipal governments to impose taxes. In addition, there are supplementary federal laws, such as the National Tax Code (CTN), Law 87/96 and Law 116/03, which are in force in the entire Brazilian territory. To fulfil the requirements laid down by these laws, the federal, state and municipal governments are able to issue laws imposing tax obligations on activities carried out in their jurisdictions. Regarding the municipalities, the most important tax is the municipal tax on services, which is imposed on the rendering of services of any nature, except those that are covered by the state tax, ICMS. Its main features are provided for by Supplementary Law 116/03, which is mandatory for all Brazilian municipalities,4 and which all have their own local legislation as well. Taking into account the existence of the many taxes and pieces of legislation, tax disputes often arise from a misinterpretation of the constitutional and legal taxation limits, and from conflicts regarding tax bodies and their jurisdiction. 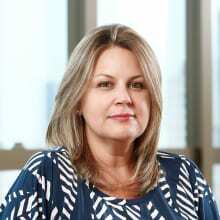 The past few years have seen many changes in tax disputes in Brazil, especially because of the transformation at the federal administrative courts, which has created a trend of high amounts being discussed and not solved in administrative proceedings that will be discussed afterwards in the judicial sphere. Moreover, the judicial procedure system was reformed by the enactment of a new Civil Procedure Code (CPC), in force since March 2016, which is also applicable for tax litigations. It aims to create a more effective, fair and dynamic procedure, and to improve the binding precedents system. Scholars, academics, lawyers and lawmakers debated this modification for several years at the parliament. In both the judicial and administrative spheres, the migration from a physical form (hard copy) to a digital form (electronic procedure) of tax filing is at an advanced stage, which also reduces the time involved in filing and the duration of proceedings. Due to ancillary obligations, the tax authorities already have access to most of the relevant tax information in digital form, which improves the efficiency of the system for reviewing taxpayers' procedures. Tax disputes in Brazil take place in the administrative sphere or judicial sphere. Litigating in the administrative sphere is optional and not binding on taxpayers, meaning that taxpayers can opt to litigate directly within the judicial sphere, and an unfavourable final decision in the administrative sphere can still be challenged in the judicial sphere. However, if taxpayers choose to bring a tax dispute directly before the judicial sphere, bypassing the administrative sphere, this is legally deemed as a waiver of the right to an administrative dispute. Litigation in the administrative sphere is usually simpler, quicker and less burdensome, because the structure of the proceeding is less complex and there is no need to present a guarantee during the proceeding. The law grants the suspension of the enforceability of the debt during the entire administrative dispute. An administrative tax dispute usually begins with the presentation of a taxpayer's opposition against a tax assessment, or against an administrative decision denying a request for refund or offset of undue paid taxes. The administrative procedure system is well regulated, especially by the federal and state governments, and allows taxpayers to present their initial opposition, appeal or counter arguments and, occasionally, a special or extraordinary appeal, this latter usually being conditioned on the existence of a precedent in conflict with the appealed decision. Most of the administrative ruling authorities are skilled in specific technical tax features; as such, a taxpayer's opposition or appeal generally has a good chance of success in correcting miscalculations or mistakes in tax assessments. It is also possible for a taxpayer to start an administrative procedure to consult with the tax authorities regarding the application of the tax law in a concrete situation whenever there is an objective doubt concerning the interpretation of the law. The administrative answer (ruling) to the consultation will be binding for both the tax authorities and taxpayers in the administrative sphere, but taxpayers can challenge within the judicial sphere in cases of disagreement. From a judicial perspective, litigation may start in various ways. If an administrative dispute results in an unfavourable decision for the taxpayer, or if the taxpayer chose to bypass the administrative sphere, it can litigate before the judiciary by adopting a proactive or retroactive approach. The proactive approach means that the taxpayer can begin the judicial dispute by filing a lawsuit against a tax assessment, an unfavourable administrative decision, or both. The law provides that the full charged amount must be court deposited. However, judicial precedents temper this requirement, in the sense that the taxpayer can file the lawsuit without the deposit, but will not obtain a suspension of the enforceability of the debt. In some specific cases, the suspension of the enforceability can be granted by the court with the presentation of other types of guarantees or, exceptionally, without any guarantee. Taxpayers may also file a judicial lawsuit to discuss a given tax burden that is deemed undue, or to recover undue paid taxes based on factual, legal or constitutional aspects. In the retroactive approach, taxpayers will wait for the public attorney (federal, state or municipal) to file a tax foreclosure in order to present their opposition. In this case, taxpayers must present a guarantee within five days, and then plus 30 days, to file their motion to stay foreclosure. The suspension of the enforceability of a debt or guarantee accepted by the court legally grants a tax good standing certificate, a document deemed necessary for many legal acts in the course of taxpayers' operations, such as to provide proof of commercial health, to receive payments from public entities, to transfer real estate and to be entitled to tax benefits. However, the mere existence of a guarantee does not grant the suspension of the enforceability of a debt, it being necessary that the taxpayer demonstrate good grounds for its plea and the risks that have to be obviated by the court order. Without the suspension of the enforceability of the debt, the public attorney can request seizures or other procedures of property expropriation. The law lists, in a preference scale format, the possible guarantees, with a cash deposit being preferred. Bank letter guarantees and insurance bonds are deemed equivalent guarantees by the law. The list also contemplates public bonds, precious stones or metals, real estate, ships, aircraft, cars, stocks and rights. Under both the proactive and retroactive approaches, a taxpayer's plea petition should contain a written document of all the factual, legal, constitutional or other grounds relied on. 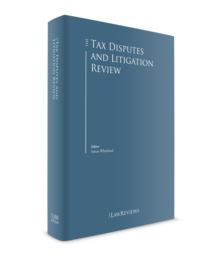 As taxes are due to the federal, state and municipal governments, each government level has its own administrative litigation structure, usually comprising first and second level courts. Most first level courts do not allow taxpayers to attend hearings and present oral arguments, which are common procedures at the second level administrative courts and judicial courts. The ruling authorities in the first level administrative courts are usually the tax authorities, members of the respective Federal, State or Municipal Treasury Affairs. The second level courts, such as the federal court, usually comprise a panel composed of appointed tax authorities, and taxpayers' representatives appointed by the Industries Union, federations or associations. As a rule, administrative courts are not allowed to disregard the law based on an allegation that it is against the Federal Constitution. In the judicial sphere, there are state courts responsible for state and municipal taxes and federal courts responsible for federal taxes. Both have first and second level courts. The first level courts have head or deputy judges, while the second level courts have panels formed by three or five judges, depending on the type of appeal. The most relevant administrative court is CARF. Located in the federal capital, it is responsible for analysing all federal tax proceedings at the second and third levels, as it analyses appeals at the ordinary chambers and special appeals of its superior chamber of tax appeals (CSRF), this latter body focusing on standardising the administrative courts' understanding on matters. According to the tax involved, the proceedings are distributed to one of three sections in CARF. Each section has four chambers with eight members, and each CSRF is composed of 10 members. In both cases, half the members are appointed by the tax authorities and half by taxpayers associations' representatives. The tax authorities always appoint the chair of the chambers, including the chair of the CSRF. The chair has the casting vote in the case of a tie. CARF has been responsible for the most relevant tax litigations over the years, and was regarded to be a highly technical and fair court, establishing relevant precedents to guide the interpretation of the tax law. This is why, in many circumstances, taxpayers have adhered to its decisions, even if unfavourable, and not challenged them before the judicial court. However, in the past few years, the CSRF has decided many relevant issues against the taxpayers, which is why many tax disputes with significant involved amounts are now addressed in the judicial sphere. STF is the last instance in the judicial sphere, and is focused on constitutional issues. Considering that the Constitution lays down the guidelines for the tax system, a lot of tax issues have constitutional grounds and must be examined by STF. Nowadays, extraordinary appeals are only admitted when there is proof of a decision having general repercussions, meaning that the issue has to have economic, political, social or juridical relevance to be analysed. After STF decides that there is a general repercussion, the issue involved is publicly disclosed as a theme attributed to a proceeding awaiting trial. In the meantime, all other cases regarding the same theme are suspended after the second level local court's decisions, as the STF decision in the leading case will be automatically applied with binding effects to all these cases and to all future cases with the same theme. STF comprises 11 justices appointed by the President and formally confirmed by the Federal Senate. STJ analyses special appeals presented from all the other courts whenever a treaty or federal law is applied in incorrectly or there is a different interpretation of the federal law between local courts (federal or state courts). The decision issued by STJ is final when there is no constitutional issue to be discussed. Since STJ was unable to analyse the numerous cases it received, it selects some relevant and often-repeated issues to be analysed as themes. In this sense, STJ has ruled in leading cases that are known as repetitive appeals, and its solutions in these appeals should reach all other similar cases with binding effects to lower courts. While STJ has 33 justices, tax disputes are ruled by two panels of the first section, each of which is composed of five justices. STJ justices are appointed by the President and confirmed by the Federal Senate. STJ submits a pre-approved three-name list for the President to choose from. The late payment of federal taxes is subject to a 20 per cent fine. In a tax assessment, the regular fine is 75 per cent over the tax debt. If there are charges of deliberate misconduct, fraud or simulation, an aggravated fine of 150 per cent is imposed. For state and municipal taxes, fines vary according to the local legislation and the time period. In some cases, the calculation of interest is so burdensome that there are good grounds to challenge it. In the state of São Paulo, Law 13.918/09 imposes excessive interest that is far greater than the federal interest. The highest state court of São Paulo has declared illegal rates that exceed the federal rates, and only recently new assessments stopped imposing those interest rates. Depending on the subject matter involved, some tax assessments are sent to the Public Prosecutor's Office to be evaluated for the potential existence of criminal issues. A criminal prosecution should only commence after the administrative discussion is over and results in an unfavourable result for the taxpayer. Taxpayers have five years to claim a refund of undue or overpaid federal, state or municipal taxes. The legislation and judicial precedents state that these amounts are subject to the same interest and monetary correction rates applied to tax debts. Whenever legally accepted, offset of tax of the same nature as upcoming taxes can be the most efficient way to recover overpaid taxes. The offset procedure is usually simple, and allows the immediate use of the credit properly declared, thereby avoiding a new tax payment. As a rule, tax authorities have five years to accept or deny the offset, with a lack of manifestation or decision considered to be as deemed acceptance of the offset procedure. Taxpayers must be able to present all the documental evidence regarding the undue payment. Administrative courts generally do not grant offset when there is a legal or constitutional controversy about the actual existence of an undue payment. However, they are supposed to apply the judicially binding precedents issued by the STJ or by the Supreme Court. If offset is denied for federal taxes, taxpayers will have the opportunity to start an administrative dispute proceeding that will follow the same procedure model adopted for challenging tax assessments. In the case of final unfavourable result for a taxpayer in the administrative sphere, the taxes considered undue for offset will be subject to fines that may vary from 20 to 150 per cent. In other cases, when a specific law forbids the offset or if there is no debt flow to offset, taxpayers may file an administrative or judicial claim for a refund, presenting documental proof of the undue payment. If there are some controversial issues to be addressed regarding legal interpretations or unconstitutionality, a judicial claim for refund or event to resolve the controversial issue is recommended, considering the limitations of the administrative proceedings. In general, the possibility of an appeal within 15 or 30 days of a decision is applicable for most administrative decisions. One point of concern is that in some cases a reduction of fines diminishes with the appeal. Administrative decisions rendered against tax authorities are usually submitted to an automatic review (ex-official appeal). Nevertheless, a final administrative decision against the tax authorities is final and cannot be challenged in the judicial sphere. Taxpayers can always challenge final administrative decisions in the judicial sphere. Whenever an undue payment is legally or constitutionally controversial, taxpayers may file a lawsuit aimed at the recognition of their right to recover the unduly paid amounts. As previously mentioned, the administrative courts are supposed to enforce the law, and are not able to declare the unconstitutionality of a tax obligation imposed by the law. Therefore, allegations involving constitutional issues must be presented at the judicial courts, unless they arise from a binding judicial precedent. The tax authorities initiate tax claims whenever their analysis of an offset or an audit indicates that taxes were not duly paid. If there is no administrative dispute, or if the administrative court confirms the tax assessment, a public attorney will file a tax foreclosure. Taxpayers can present claims regarding taxes that were unduly paid or if there is a legitimate risk of taxes being unduly charged. Legitimacy is assured to the taxpayer considered to be the one who paid the tax and kept its burden. Therefore, in the case of indirect taxes, there must be proof that such burden was not reflected during the steps of the business chain. Administrative disputes attract no court costs and assure the suspension of the enforceability of the debt, granting the good standing certificate up to the final decision. Initiating a judicial dispute or presenting an appeal is subject to court costs that are based on the amount involved (for federal disputes, 1 per cent of the amount involved; for state disputes, the percentage varies). Nevertheless, there is always a maximum capped value, which varies for each state but is no higher than US$25,000.5 For federal courts, the current cap is US$600, meaning that in many cases the court costs are not significant. On the closure of a judicial proceeding, the judge will sentence the defeated litigant to reimburse the other party of all anticipated court costs, and to pay judicial attorneys' fees up to 20 per cent of the involved amount according to the progressive chart under Section 85 of the CPC. These fees are mandatory (unless a writ of mandamus is filed), and might represent exposure whenever significant amounts are discussed. If there is a need to present a bond or insurance guarantee in order to suspend the enforceability of the debt under discussion, this financial cost might also be relevant. According to the Federal Constitution, the law alone is allowed to impose and exclude tax obligations. As such, Brazilian law does not allow for alternative tax dispute resolutions. The law is binding on all public workers in all spheres of government, who have no discretionary power. Federal tax authorities enforce the law as interpreted by the General Attorney's Office and by the Brazilian Federal Revenue Office. After a binding judicial decision, if it settles a dispute against the tax authorities' interpretation, the responsible office will issue a new note informing its attorneys to submit to the decision and, if applicable, point out the attendant facts that might result in a different approach to such case. It is worth mentioning that in some cases it is possible to have a discussion with the tax authorities with the aim of them granting a special tax regime for ancillary obligations. Although this might have a significant impact on an operation, this measure has to be put in place prior to the dispute and the tax liability, since a good standing certificate is a requirement for such proceeding. On the past few years, the federal and state governments have legally approved periodic tax amnesty programmes that grant the payment of tax debts in instalments with reduced fines and interest. In 2001, Brazilian general anti-avoidance rules were introduced for both domestic and international transactions under Section 116 of the CTN. Accordingly, tax authorities may disregard transactions carried out with the purpose of concealing taxable events or of modifying the tax liability. This general anti-avoidance rule still depends on further regulation concerning the conditions, criteria and procedures to be followed by the tax authorities. Section 116 represents legal grounds for the introduction of a GAAR, but not a GAAR per se. Regarding the OECD BEPS Project, Brazil is not an OECD member. Still, Brazil is one of the many non-members considered by the OECD as a strong and active partner. 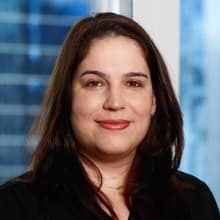 The Brazilian Revenue Service (RFB) has publicly expressed its intention to adopt BEPS recommendations and issued rules to implement the following measures: (1) country-by-country declaration (RFB Normative Ruling 1681/16); (2) exchange of information regarding rulings (RFB Normative Ruling No. 1,689/17); and (3) mandatory declaration of the beneficial owner of Brazilian legal entities (RFB Normative Ruling 1.634/16). Also focusing on international transparency, Brazil signed two agreements regarding the automatic exchange of financial information: the Foreign Account Tax Compliance Act with the United States and the Common Reporting Standard, within the framework of the Global Forum on Transparency and Exchange of Information for Tax Purposes. With the above measures, a substantial amount of information on the international structure of Brazilian taxpayers will be disclosure to RFB, and as a result will affect tax inspection proceedings. Therefore, legislative changes in tax matters are expected to assure coherence and legal certainty, by aligning Brazilian rules with international standards. Despite the lack of GAAR and, hence, legal grounds that enable tax authorities to disqualify licit operations, to disregard lawful transactions tax authorities have been adopting concepts that are not established in Brazilian law (i.e., the substance over form approach lacks legal grounds). Most cases regarding this matter are now under dispute in the administrative sphere, with a majority of losses to the taxpayers. Cases are yet to be challenged in the judicial sphere. Brazil currently has double taxation treaties (DTTs) in force with more than 30 jurisdictions. Its treaty network is small and relatively old. Notwithstanding the fact that Brazil is not a member of the OECD, Brazilian DTTs follow, to a great extent, the OECD Model Tax Convention in force at the time the DTTs were signed, mainly in relation to making Brazil more attractive in terms of offering taxing rights to the source state. For this reason, recent precedents indicate that Brazilian courts have been adopting official OECD Commentaries on the Model Tax Convention. A distinct aspect of Brazil's treaty policy, which deviates from the OECD Model Tax Convention, is the inclusion of matching credit clauses in DTTs signed with developed countries, especially with respect to the payment of dividends, interest and royalties (e.g., treaties entered into with Austria, Hungary, Italy, Luxembourg, the Netherlands). Because Brazil is primarily a capital-importer, Brazilian DTTs also generally tend to privilege source taxation as opposed to granting exclusive taxing rights to the state of residence of the beneficiary of the income. In addition, it is important to note that the interaction between DTTs and domestic law is not entirely regulated by the Brazilian legal system. It is generally understood among Brazilian scholars that DTTs consist of an agreement of will entered into between two contracting states and may not be revoked at the discretion of one of these states without triggering a violation to the pacta sunt servanda principle that rules the applicability of such treaties. There is a continued focus on the dispute between taxpayers and tax authorities regarding the credits registration applicable to the industrial, commercial and services operations aiming at reducing the tax burden. The tax authorities have already indicated their concern with this situation, and are conducting specific tax audits to identify and assess these controversial credits. Also, as a result of the recent decisions issued by CARF against taxpayers, there has been an increase in major discussions on the judicial sphere regarding goodwill amortisation expenses, transfer pricing, taxation of foreign profits and stock options. This refers to assessments that were already confirmed by CARF, as most new assessments on those matters are still challenged on the administrative sphere. Furthermore, there is a significant number of disputes involving payroll taxes because of the amendments to the labour law and the recent change to most ancillary obligations that are now presented in digital form. Considering the most relevant tax questions tend to be analysed by the superior courts on taxpayers' proceedings with binding effects, proof is the best way to qualify a specific case and allow an exception to those decisions, especially as superior courts do not reassess proof. In this sense, it is essential to review internal proceedings, documents, invoices and contracts to ensure they are in accordance with the tax legislation and its treatment. The Brazilian taxation system is complex and has many controversial issues that might not be informally solved. As such, Brazil is expected to continue to see many ongoing tax disputes. Nevertheless, there is a well-developed system to allow taxpayers to address tax issues. The expectation is that in the near future, the judicial sphere will be even more skilled in facing the most complex tax matters since many relevant issues have recently been subject to disclosure in the administrative sphere and are about to be judicially challenged by taxpayers. The need to concentrate on analysing the facts and particulars of each company's activities will demand effort and cause improvements in judicial decisions. One focal point in the judiciary sphere regards the reduction of litigation costs. The system needs to be amended to allow taxpayers to litigate proceedings without being overburdened. This measure is particularly relevant when it is possible to expect that many complex tax matters will be ruled in the taxpayers' favour. 1 Daniella Zagari and Maria Eugênia Doin Vieira are partners at Machado, Meyer, Sendacz e Opice Advogados. 2 Tax on rural property and freight surcharges for the renewal of the Merchant Marines are also federal taxes. 3 Gift and inheritance tax and property tax on vehicles are also state taxes. 4 Property tax on urban real estate and transfer tax on real estate are also municipal taxes. 5 The amounts mentioned are approximate and are presented only for reference purposes. The specific legislation must be consulted on a case-by-case basis.